Mark works with staff, stakeholders, and the organization’s Board of Directors to execute the strategic priorities of Baltimore Tree Trust’s core programs; Trees for Public Health and Putting Down Roots. 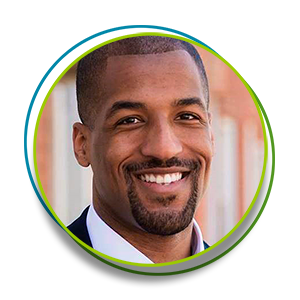 Prior to joining BTT, Mark served Baltimore City as the Deputy Director of the Mayor’s Office of CitiStat where he advised the Mayor on the management and operations of the city using data. While completing his Master’s Degree in Public Policy at the University of Maryland, Mark conducted research at the EPA on high impact, low cost solutions for cleaning up the Chesapeake Bay. Starting his tree-care and maintenance career at age 15, Kwamel is a self-proclaimed outdoorsman who loves to work outside and watch his work grow. He has worked for many years at Baltimore organizations and companies ranging from Civic Works to the Cylburn Arboretum to the Grass Roots Landscaping Company. Kwamel is the recipient of the first annual Ed Miller Award and the 2015 Volunteer of the Year award from Civic Works. He is currently enrolled to complete his certificate in Sustainable Horticulture at the Community College of Baltimore County. 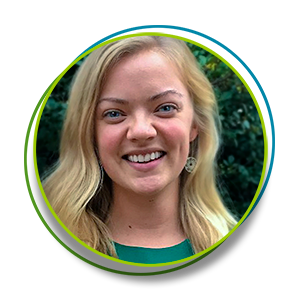 Prior to joining the Tree Trust, Sara spent time working internationally in Rwanda through the Peace Corps and with Jhpiego to support public health programs in Malawi, Namibia and Lesotho, as well as one year working with The Choice Program in Baltimore. Sara holds a B.A. in advertising and print journalism from Duquesne University and is studying for a Master’s in Education at Johns Hopkins, focusing studies on building stronger partnerships between communities, schools and other organizations. 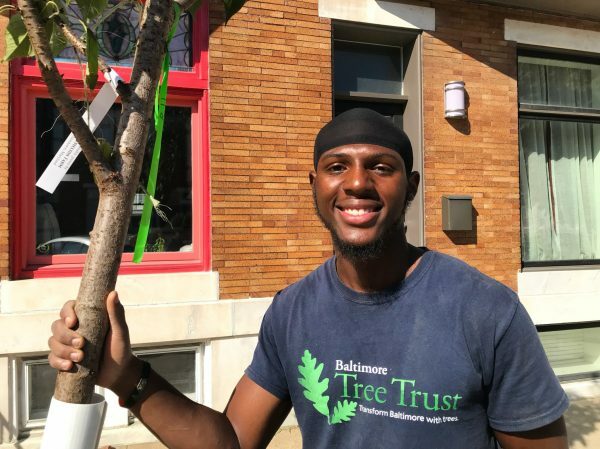 At Baltimore Tree Trust, Sara will be spearheading our workforce development program, the Urban Roots Apprenticeship, and working on designing effective curriculum to prepare our next generation of tree care professionals. 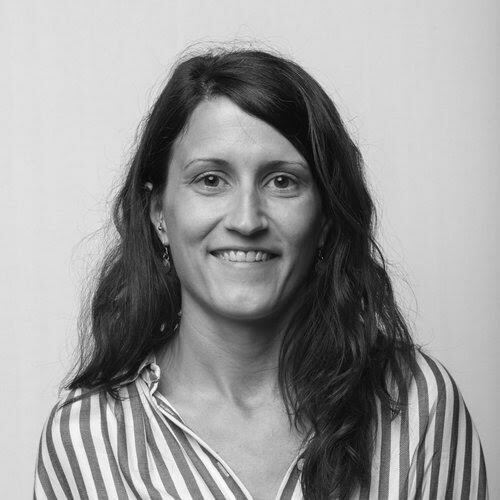 Outside of work, Sara enjoys to practice yoga, explore different neighborhoods in Baltimore and to travel. Sheila works to ensure the programmatic success of Baltimore Tree Trust’s core initiatives. Before joining the BTT team, Sheila was a foundational member at Baltimore Corps, where she worked as the Recruitment and Admissions Manager on their partnerships team for three years. A former Jesuit Volunteer, Sheila holds a B.A. in English Language and Literature from the University of Maryland in College Park, and is an avid environmentalist. Outside of work, you can find her going on hikes and performing with her comedy troupe at the Baltimore Improv Group, where she also serves as board secretary. Sheila is currently enrolled to complete her certificate in Sustainable Horticulture from the Community College of Baltimore County, and has been selected to participate in the inaugural Maryland Climate Leadership Academy in fall 2018. Alex leads the organization’s field operations which consist of managing green jobs and general maintenance of trees. He has several years of experience in the landscaping profession and has completed Maryland Master Gardener certification. Alex has worked on projects designing and constructing a variety of landscapes and hardscapes. 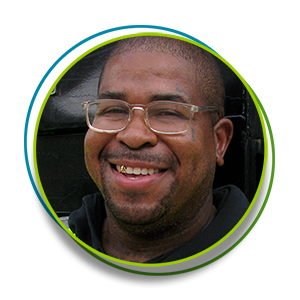 With his diverse greening background and his passion to educate, he is a natural for assisting with our organization’s neighborhood outreach efforts. Alex is currently enrolled to complete his certificate in Sustainable Horticulture from the Community College of Baltimore County. He will be honored in November 2018 with an Urban Visionary Award from the Center for Urban Families.